June 17, 2014 Culture » Big Shiny Robot! Otto von Bismarck once said “Laws are like sausages; it is better not to see them being made.” It’s doubtful that the 19th-century Prussian statesman could have predicted that his delicious nugget of wisdom would be applied to superhero and science-fiction films as well as to laws, but there you have it. It’s my opinion that we, all of us, me included—me especially—spend too much time watching the sausage being made when it comes to our favorite things. And it shades our expectations in ways that are unfair to the works of art we claim to love. How many times have you gone into a movie with pre-established notions of what it was going to be, and then left disappointed with what it wasn’t, rather than enjoying it for what it was? We search and scour the Internet for every spare scrap of news about movies, comics and television shows we like. My favored arena is Star Wars, but I dabble in everything. And the more I dabble, I realize, the more it might very well be to my detriment. What good does it do me to clamor for every tiny announcement and released image during the making of a movie? In many cases—probably even most cases—the expectations created by these media leaks, legitimate and otherwise, are false. Take, for instance, the horrendous marketing campaign for the most recent two X-Men films, First Class and Days of Future Past. When the first poorly Photoshopped images of characters from First Class in costume were released, the Internet melted down. Whoever leaked the photos made a mistake, and many people who might have enjoyed the top-notch First Class didn’t even bother going to see it. The same thing happened with Quicksilver in Days of Future Past, though his sequences in the film were universally hailed as the best in the movie. But what good will it do to stress about something like Marvel’s Ant-Man, which won’t be out for more than a year? 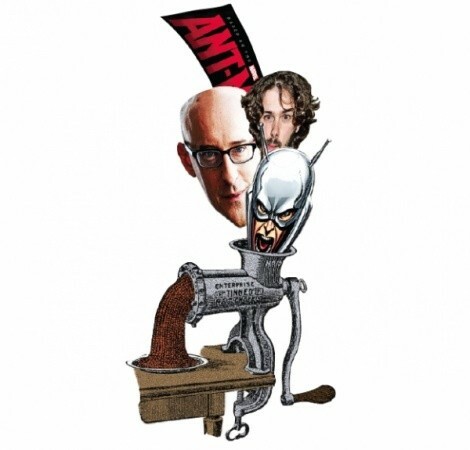 Yes, it could absolutely be a troubling sign that director Edgar Wright abruptly left the production of Ant-Man, to eventually be replaced by Peyton Reed. But until we see the final movie, it’s just a lot of anxiety and worry; needless heartburn over something that may still very well turn out to be awesome. That same level of dread is spent worrying about everything from how J.J. Abrams is going to handle the Star Wars movies to what comic book Grant Morrison might “screw up” next. But what’s the point? Why do we care so much about the pre-release rumors and leaked details? Wouldn’t we enjoy stories more if we were surprised by them? And wouldn’t we have more free time if we didn’t spend so much time watching this sausage get made? Perhaps we’re just addicted to the stress. And since the Internet gives us an easy outlet to vent our frustration, we do it too easily, then base our decisions around that culture of anxiety and fear. Or maybe, just maybe, Otto von Bismarck was wrong, and we geeks all just love a good sausage party.